Step 1: Log in to DNN7 site as a host user. 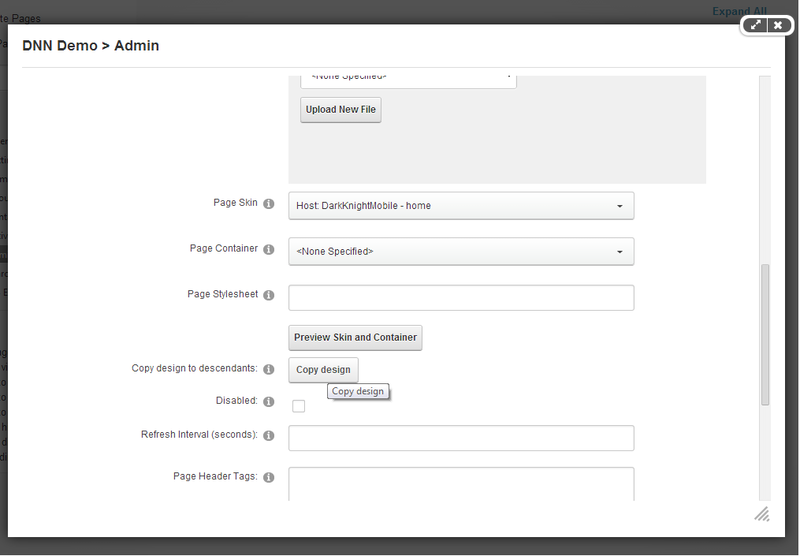 Hover on Admin link over control panel and click Pagemanagement. Step 3: Modal popup appears click on Advanced settings tab. 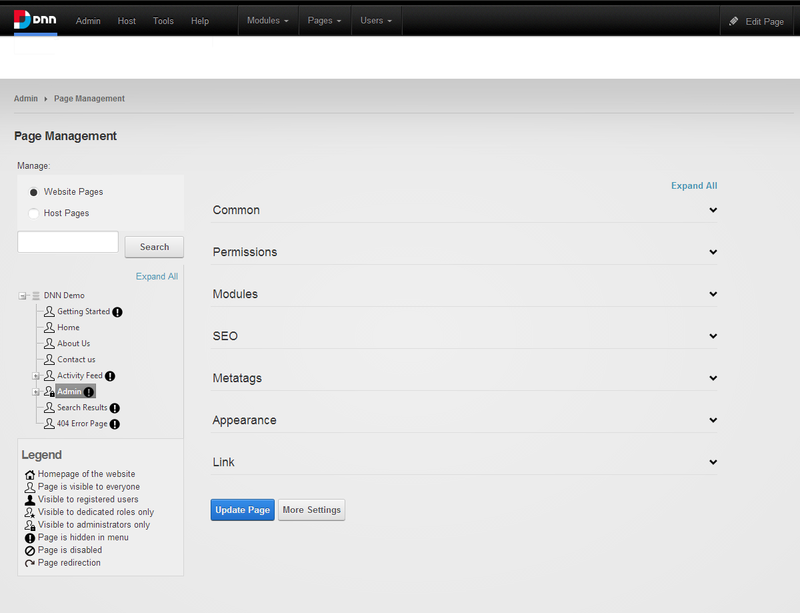 Step 5: Scroll down to Page skin in same Modal popup under Advanced Setting tab. To Sum-up More Settings > Advanced Settings > Appearance > Page skin - Change the skin to which you want only admin pages to have. Step 8: Success message will appear saying Design copied successfully. That's it guys. This is the procedure to set a Different Skin for Portal Admin Only in DNN 7.